To create a new login and log in into your classes simply go to Login/Register in the menu bar. You can either choose to login into your account in the Logn section or create an account by filling in the Register information. I cannot find my email and I’ve already created an account. Check your ‘Junk’ inbox in your email account. Then add debs@soulharmonyyoga.org into your contacts so you’ll receive all emails from in the future. Any continuing problems email me at debs@soulharmonyyoga.org and I’ll back to you within 24 hours. Can beginners take the classes? Yes, our yoga classes and workshops are accessible to anyone, and this is what is unique about them. I like to make my classes a great space for you to come and give the time to yourself to rejuvenate and restore your energy in a way that leaves you feeling like you’re back to yourself when the class has finished. Relaxation is a big part of a Soul Harmony Yoga Yoga class and is usually about 10-15 minutes at the end of each class. Within each course is a Safety Briefing. Make sure you go through this before you begin so you can get the best out of the classes. What are the benefits of taking Soul Harmony Yoga classes? We charge an annual membership fee and then you can choose to join any of our standard courses. Once you have enrolled in a course or workshop, you can access it as many times as you like as long as your membership remains active. Any items we give you to download are yours to keep indefinitely. What are the benefits of practising Yoga online as opposed to a class? With so much access to the internet you can do your yoga on holidays, outside, in the park, on the beach – basically wherever you are in the world. It is totally time and location independent! 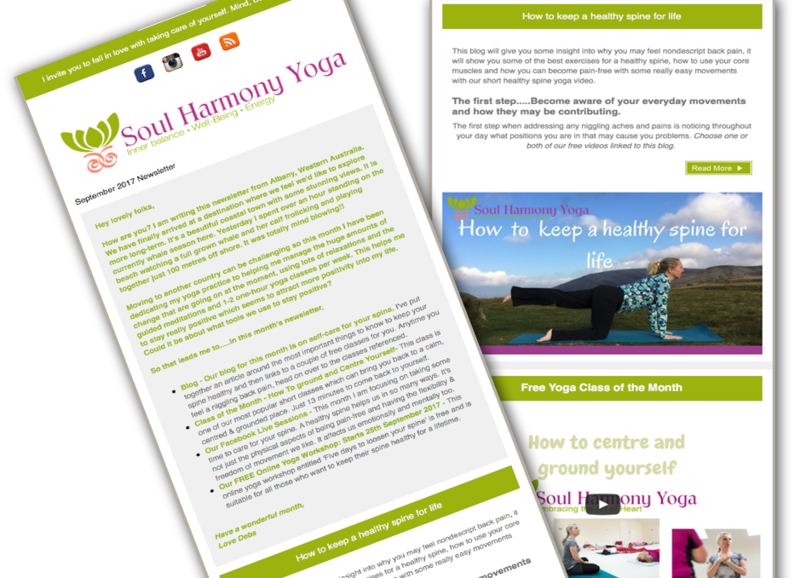 You must have a Soul Harmony Membership to access our courses and some of the other products. You can add as many courses as you wish to your unique membership account. From the Main Menu above, click or tap on ‘Courses‘, then select ‘All Online Courses‘ and then ‘View Course‘ for the one you are interested in taking. You will then see detailed information about that course to help you with your selection. 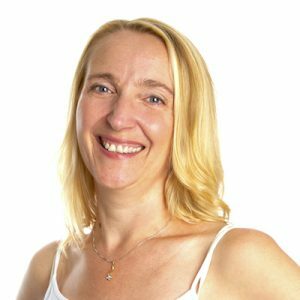 If you are new to Soul Harmony Yoga, select ‘Become a Member‘ to start your membership, otherwise just select ‘Access This Course‘ to enrol and begin right away! Next time you visit us, simply select ‘Log In‘ from the ‘Courses‘ drop-down menu, and you will return to your course, picking up from where you were before. All your courses will be kept for you in your account so that you can track your personal progress and revisit any of the courses and lessons as many times as you wish, so long as your membership remains active. What is the Mark Completed function in my account? The ‘Mark Completed’ button at the bottom of the class video is for you so you can monitor which classes you have completed. You are free to choose the class again and again and clicking on mark Completed does not mean you can’t take the class again. What do I need to participate and what should I wear? Firstly you will need an internet enabled device (such as a computer, tablet, or smartphone) capable of playing YouTube® and Vimeo® videos, MP3 music files, as nearly all of these are streamed online, and Adobe® Reader for opening PDF files and E-Books. Generally, you will need a yoga mat, cushion and a blanket – for the relaxation section. Sometimes you may need a yoga strap or bolster. Each course will explain what you need. If you don’t have these yet, you may substitute with common items around your home, so you can still participate in the lessons. Where else do you share resources and information that I can access? We have a general Facebook page which you are welcome to join, on which we post various articles about Holistic health, recipes and Yoga information and free sessions you can find on the internet. Note that once you enrol in a course, you will also be invited to join our special Online Yoga Community Facebook Group where you can ask questions, receive and offer support to others and connect with me as you go through your lessons. You can also opt-in to receive our regular newsletter by filling in the signup form displayed around this site. We usually send out a monthly newsletter with up-to-date information on what we’re up to, healthy and easy to make recipes, blogs and general articles to help you more easily create that healthier lifestyle. We also offer short yoga and movement classes, free relaxation and meditation videos for you to access at any time on our YouTube channel. All the rest are found here on our Online Courses page. Tap the three-lines menu icon to bring up the top menu, scroll as required and tap the option you want. Tap the > icon (if displayed) to open a drop-down menu if there are additional options to see. Tap the X icon to close the menu and return to the page. Take a look at Our Courses Page and choose a course to suit your needs.